A house can be a fairly important tool for saving tax in India as you can avail attractive tax exemptions. This is irrespective of whether you are staying on rent and claiming HRA or if you have bought a property and paying EMI. Both can be structured in such a way so as to be extremely tax-efficient. Additionally, if you have just purchased a second property, it can give you more benefits than the rental income. Let us look at these facets from a tax point of view. If you are staying on rent and also being paid HRA by your employer, you can get attractive tax benefits. Hence, when you structure your salary package with your employer, include HRA as a distinct item in your total package. 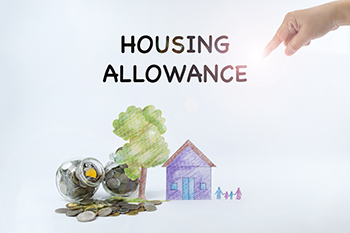 If these conditions are satisfied, there is no upper limit to the HRA exemption you can claim. There are few procedural elements to remember. You need to furnish stamped rent receipts, but if your annual rent is more than Rs1 lakh, then the landlord’s PAN number is also required. If you are paying more than Rs6 lakh per annum as rent, deduct TDS at 10%. The Income Tax Department allows you to show one property in your name as self-occupied. You can show zero rent received and you can claim a loss of Rs2 lakh each financial year as a loss on account of interest paid. Section 24 exemption is only available against actual interest paid on home loan subject to certification by the lender. In addition, the principal is eligible for exemption under Section 80C. The total loss under Section 24 up to Rs2 lakh can be adjusted against your total income, thus reducing your total taxable income. Another interesting aspect is that if you and your spouse take a joint loan, then both can claim Section 24 benefits up to Rs2 lakh individually. Can I claim HRA benefits plus Section 24 benefit on interest on EMI? This is a standard question. You purchase a flat in one city and shift to another city for professional reasons. In this case, you can claim Section 24 benefits on the property owned and also claim HRA benefits on the rent paid in the new city. This is a dual benefit. The Income Tax Department allows you to deem any one property as self-occupied. In the case of multiple properties, you can show the higher value property as self-occupied. Can you claim Section 24 if the property is leased out? In the case you have leased out the property on which you are paying EMI, Section 24 can still be claimed. You will have to show the rental income and then you can claim 30% as a standard deduction on rent. In addition, you can also claim the municipal taxes paid on the property. There is no outer limit on the total net loss that you can claim on the leased out property. However, there is a small change effective Union Budget 2018. If the net loss on the leased out property in any year is more than Rs2 lakh, they can only claim Rs2 lakh in that year and the balance will be carried forward. In a nutshell, HRA and Section 24 are two sections that give interesting income tax benefits to taxpayers. Structure properly and make the best of it.